Windows 8 does not have start button.Start button is important feature for looks of windows. I found a trick to add start button in windows 8 this is a software named Start8.This is a product of Startdock.This product is free. -Add Run.... option via right clicking on button. -Shutdown Windows8 via right clicking on Start button. -Choose a custom start image button. 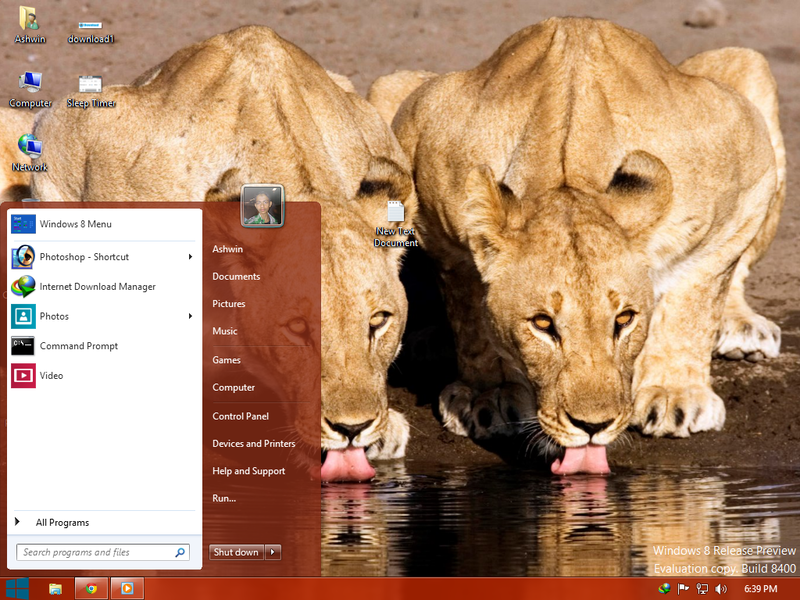 Download Start 8 and run it. Install it.Here is installation preview. Now see your Desktop the Start button will be their. Your start Menu will look like this after clicking on button. Follow these for changing button type. Now choose your image and click on Open button. For Widows8 Metro Start Menu. 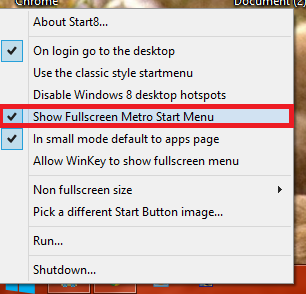 Right click on button and select "Show Full screen Metro Start Menu"
Your Metro Start Menu will be back. 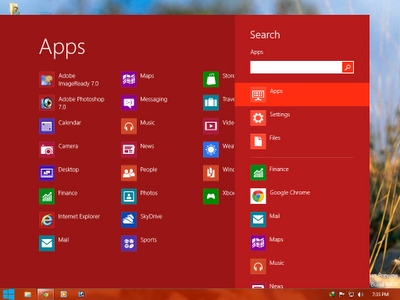 For windows8 apps and search menu. 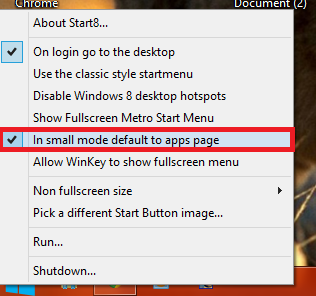 Right click on button and select"in small mode default to apps page"
Preview after choosing this setting. If you like the post so share it.